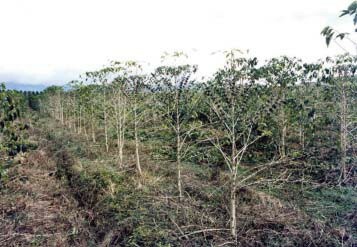 Pests and diseases represent a major constraint to agriculture. It is thus essential to develop innovative, environment-friendly and efficient methods to limit crop damage and subsequent harvest losses. 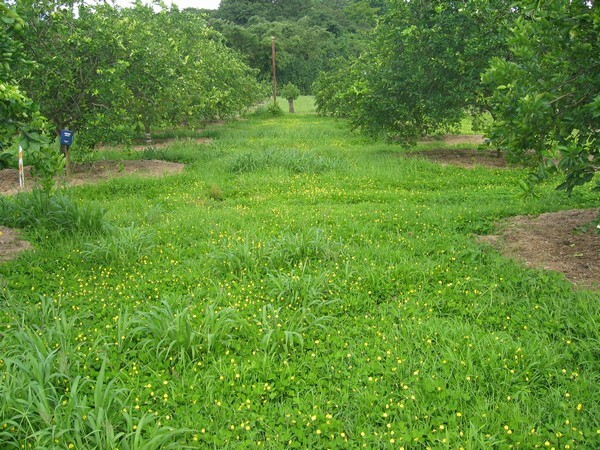 Agriculture generally involves grouping of plants of the same species in a limited area, i.e. a field or plot. This concentration increases the vulnerability of plants, with propagation of a disease or a pest being promoted by such plant concentrations in a confined area because of the continuity between plants of the same species. 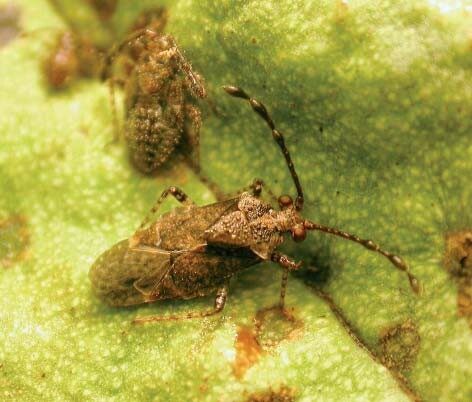 Agricultural intensification—and consequently homogenization within fields, increased plant densities, the use of fixed varieties or even clones—has fostered the emergence of major epidemics and the rapid development of some pests. 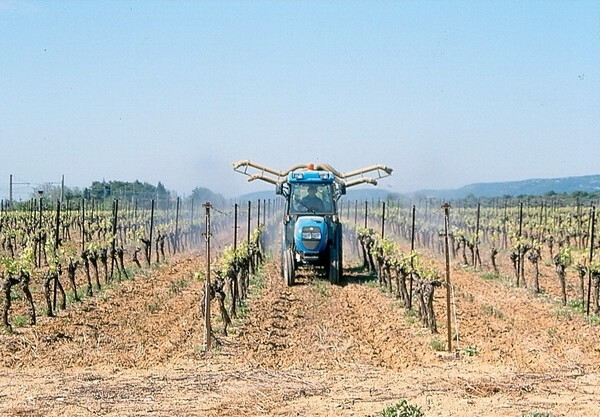 Farmers initially responded to such pest and disease threats by conducting chemical treatments. Due to the development of chemical industries and the economic importance of large agricultural industries, ‘efficient’ molecules have been formulated and marketed for the purpose of controlling the main crop pests and diseases. These latter organisms have, however, been able to adapt to such chemical treatments, whereby the most resistant individuals survive treatments, resulting in resistance selection. New molecules have been proposed to deal with the development of resistance to certain pesticides, the use of which has in turn led to the development of new resistance, and to the proliferation of pesticides. Then began the escalation process between the ‘appearance of new resistances’, and ‘the proposal of new molecules’, sometimes accompanied by increases in pesticide dosages and concentrations. 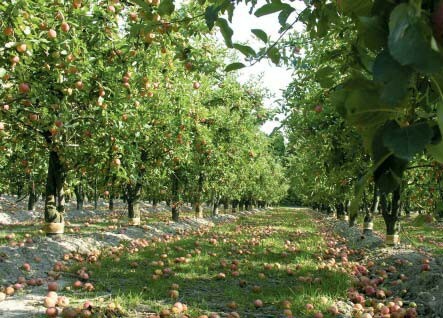 This process has resulted in the pollution of environments and consumable products, as reflected by their ever-increasing pesticide residue contents. 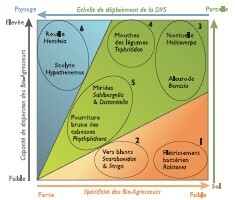 (v) chemical control when unavoidable, is often proposed depending on the crop species and the pests and diseases present. Management of cropping systems and associated pests and diseases has thus become flexible and tailored to the different situations encountered. 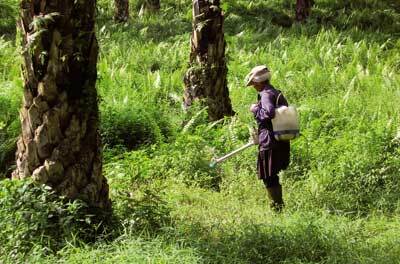 However, chemical control is still the preferred strategy for protecting many crops because it is cost-effective and easy to implement. Environmental concerns—which are very recent in most communities—have not always prompted major changes in pest control practices. The set up and expansion of organic and fair-trade markets, further promoted by consumers, has nevertheless led to the adoption of new practices when alternatives to chemical control are available. Research is involved to an increasing extent in developing alternative methods to chemical control. 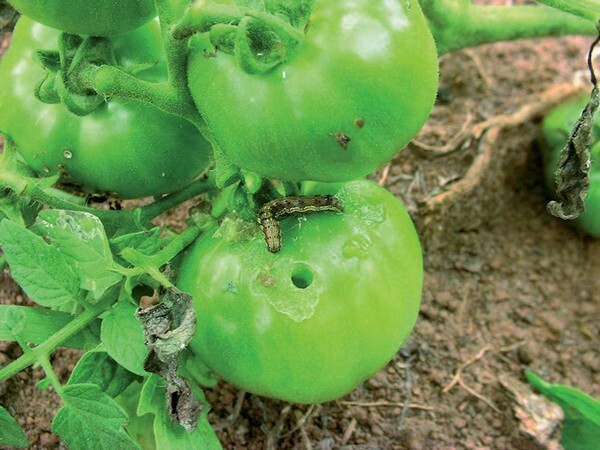 The analysis and management of risks associated with pests and diseases have thus become major challenges for most teams focusing research on cropping systems. Regulation of pest populations is now a key element in projects conducted by several research units on the Agropolis International campus. Cocoa cropping is one of the main income sources of rural families in the forest region of Cameroon. However, this crop is hampered by pests such as mirids. 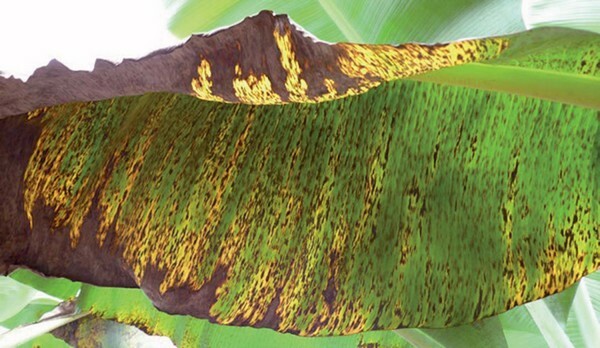 Sahlbergella singularis and Distantiella theobroma are the most damaging cocoa crop pests in Africa. In some countries, they are responsible for cocoa production losses of 30-40%. Research units and teams involved in "Managing pests and optimizating pesticide use"
Formerly: Controlling Pests and Diseases in Tree Crops Research Unit” UPR Pests and diseases hamper the productivity and sustainability of most crops, and some also affect product quality.